Firstly, a little aside. If you have read any content on this site previously, you will know how much we enjoy and respect the work of Foursquare Rum Distillery’s Richard Seale. 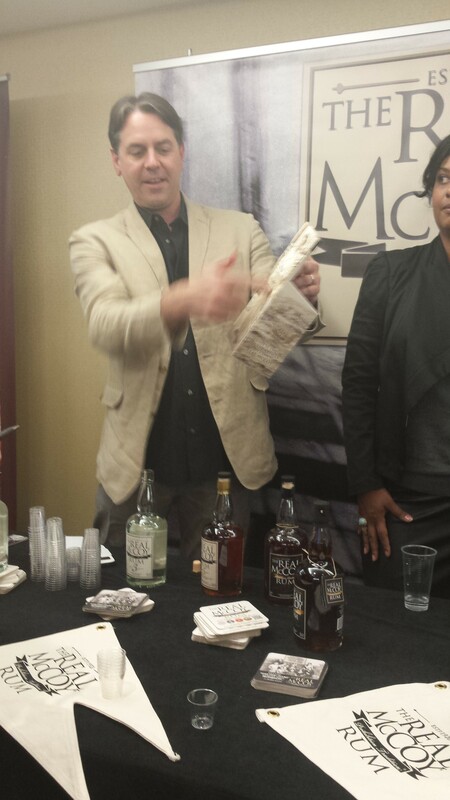 At Boutique RumFest we got to meet him. The evening was destined to be enjoyable after that moment. So, on to the Boutique RumFest. The whole experience was our first chance to sample the delights of the weekend as events had previously conspired to keep us away. We were fortunate enough to be allowed access to the Boutique RumFest which started off proceedings at 3pm on the Friday. We arrived at Euston, jumped in a taxi, checked into the hotel, took on refreshments and undertook the arduous journey down the stairs to the ILEC Conference Centre. Once inside we were greeted by a whole host of brands that we had not previously heard of and a few that we were familiar with. First up was Gold of Mauritius, who through good fortune, we had prior knowledge of. Amazingly, the Rums producer, Frederic Bestel was in attendance. There were then a few brands that we had not previously heard of. Amrut’s Two Indies Rum, various Rums (flavoured and unflavoured) from Fiji courtesy of Paradise Beverages, Koval Rum from Chicago and Sippin from London. All unique and interesting products in their own right. Familiar brands were also present in Ron Cubay, The Duppy Share, Dos Maderas, Clarkes Court, Green Island, Ron Centenario, Seven Fathoms, Opthimus, The Real McCoy, English Harbour and St Nicholas Abbey. So many brands in a confined area for us to speak to, the beauty of the Boutique RumFest lies in the fact that you can grab more time with the exhibitors to hear about the Rums and their plans. Two Indies from Amrut, which should hopefully see a release in the UK pre-Christmas is a blend of younger Caribbean Rums from Jamaica, Barbados and Guyana blended with a 3-year-old Indian Rum made from Jaggery Goor which is palm sugar obtained from the Date palm Tree. We have plenty of experience with jaggery goor (one half of Rum Diaries just happens to be Bengali) and when poured over fresh Luchi (a Bengali flatbread) it is sublime! This Rum was a real treat and I hope to grab a bottle as soon as it sees a release. Paradise Beverages has a vast array of their Fijian Rums. Flavoured Rums included Golden Honey, Coconut, Coffee, White Chocolate, Banana (very successful which is hard to execute), Rum Liqueur and they also had a White Rum. 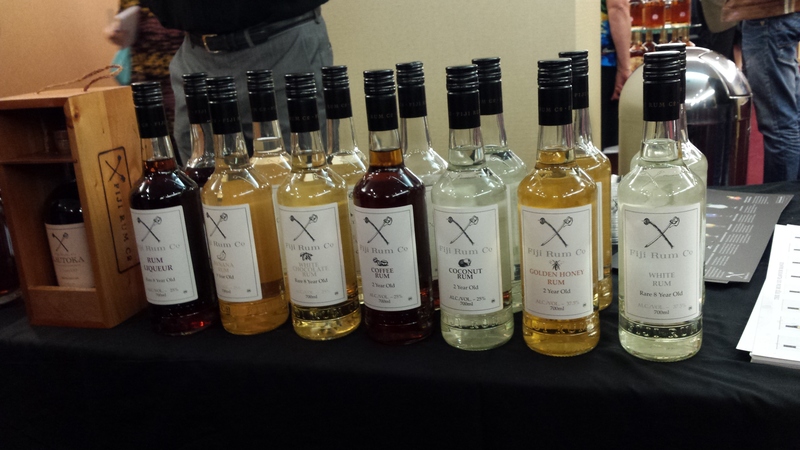 Their range of Bounty Rums included a great Overproof Rum, Dark Rum, Spiced Rum and a White. Stepping things up they also had Ratu Spiced Rum, Ratu 5 Year Old Dark Rum and their limited release Lautoka 12 Year Old Solera Rum. We really need to reacquaint ourselves with these Rums as the range has a lot to offer. 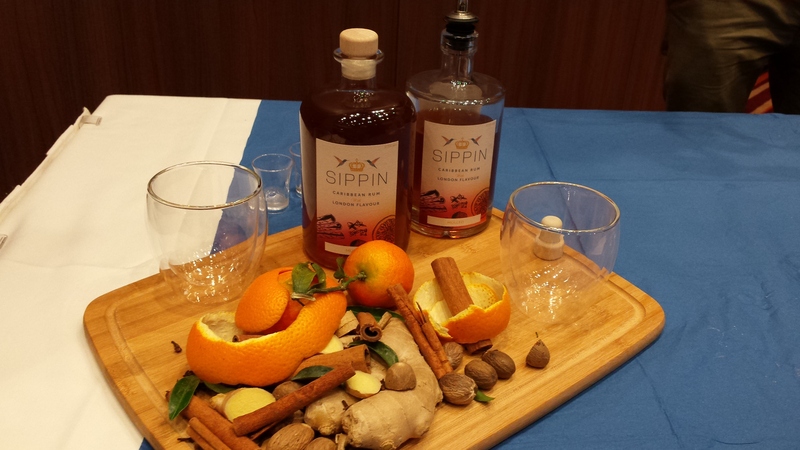 Sippin had a very interesting pair of flavoured Rums. Both at 37.5% abv, there is a Mulled expression flavoured with Orange, Cinnamon, Nutmeg and Ginger amongst other things which is going to be just right for drinking in a month or so as the weather chills and a Spiced expression containing Lime, Honey and Ginger which is both refreshing and has a real kick of heat from the ginger. Both would be ideal served hot or cold. Good stuff. 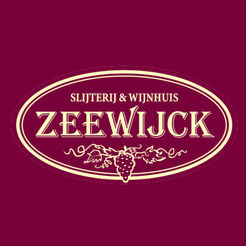 St Nicholas Abbey is a brand that we are familiar with. We own the White and 10 Year Old Expressions and really enjoy them both. We also got to try the 15 Year Old…unbelievable stuff. 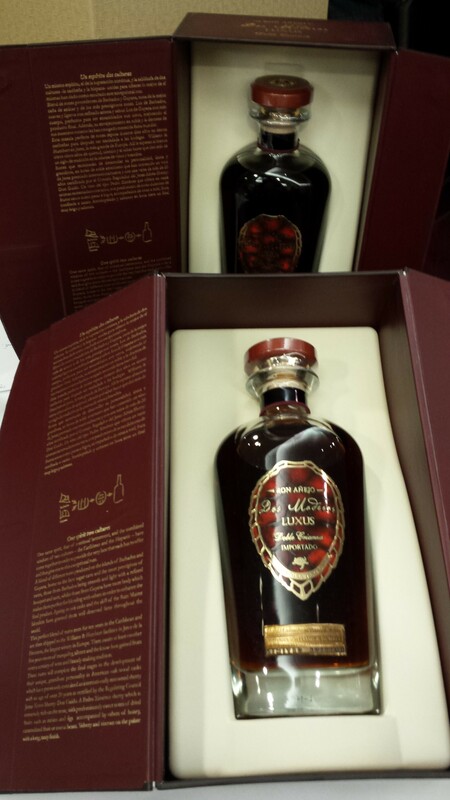 New to the line-up is the natural progression for St Nicholas Abbey, their own 5 Year Aged Rum. Made on their estate, in their still, and aged by them. Both the taste and aroma are wonderful and come it’s 2015 release, interest should be at hysteria levels for this Rum, and rightly so. The Real McCoy is a brand that we’ve had our eye on for a while given that its origins can be found at Foursquare Distillery in Barbados. The Real McCoy is the Rum inspired by William McCoy, a Rum Runner who during prohibition times anchored off the coast of Long Island and supplied Rum to the knowledgeable few. We got to meet Bailey Pryor, company CEO and Emmy Award winning Director of The Real McCoy, a film about the life of William McCoy. 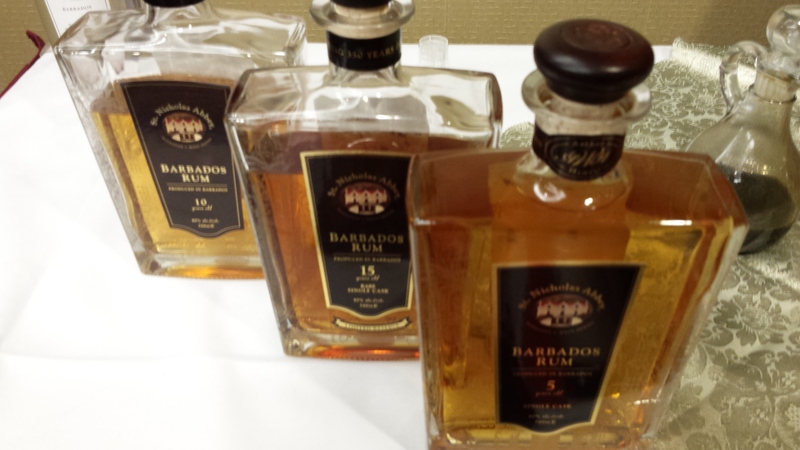 We already had high expectations for these Rums and this was confirmed once we got to try them. The 3, 5 and 12 Year Old expressions are a great representation of Bajan Rum and once again, a real credit to Foursquare Distillery. They are not just repeats of Doorlys 3 and 5, they are their own animal and display their own characteristics whilst still belonging to the Foursquare stable. 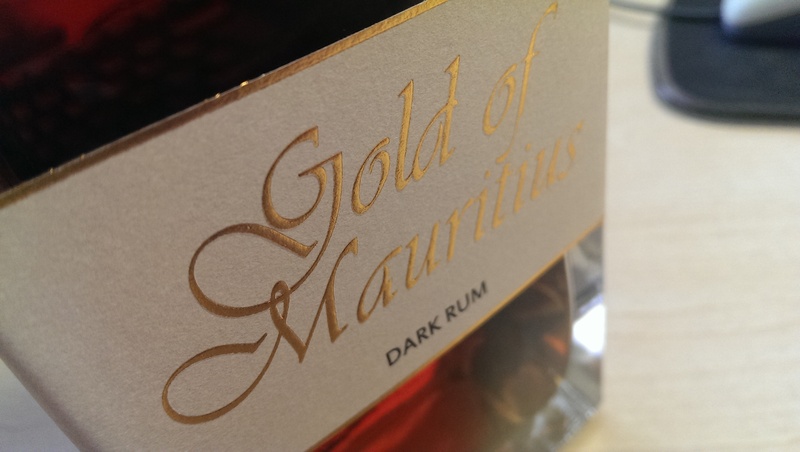 Gold of Mauritius is a brand that we have recently come to know as I was fortunate enough to meet a few weeks ago with Darius from Trilogy Beverages who are distributing the Rum in the UK. The Rum is an interesting one for sure and talking with Darius and Fred gave an insight into the processes involved and the essential barrel choice and barrel prep. The Rum has a pretty unique character that allows it to be unbelievably tasty on its own but also allows it to mix well. I also had the opportunity to try something that was pulled from beneath the counter.I REALLY need to try it again as it was another beautiful Rum. 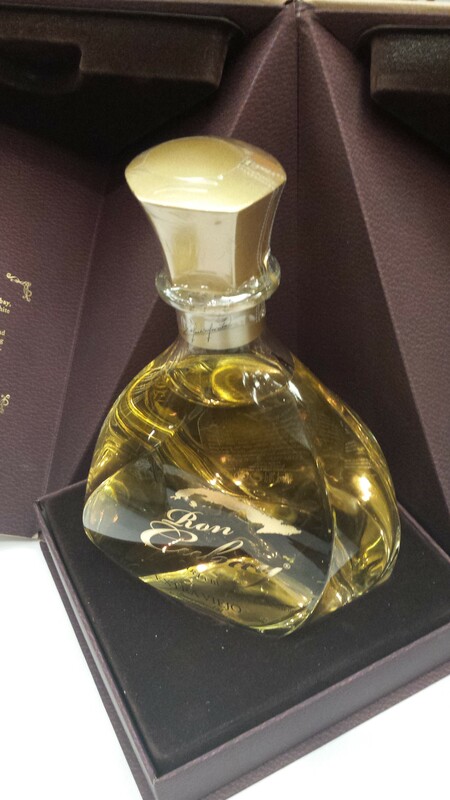 Ron Cubay, a brand that we have believed in since their arrival in the UK had their new Extra Viejo expression available for tasting for the first time in UK. It is a blend of aged stock, both white and dark, which is then filtered before bottling in one of the most striking presentation bottles that we’ve ever seen, all accompanied by a beautiful display box. Look out for an update to the Ron Cubay article soon to including tasting notes for the Extra Viejo. This then leads nicely onto what we believe was the truly defining moment of the whole evening. 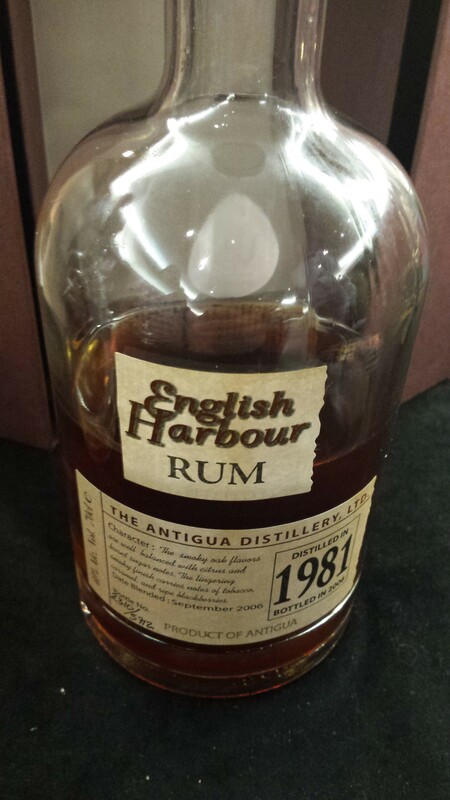 Antigua Distillery Ltd had brought along their English Harbour line of Rums. The 5 Year Old you can already read about on Rum Diaries Blog. We also got to sample the 10 Year Old which kicked things up a notch in terms of depth of flavour but still had that satisfying kick. They had also brought along the 25 Year Old English Harbour 1981. It was beautiful. Probably one of the more complex Rums that we have tasted up to this point. It was a discussion point all evening between us, so much so that whilst sitting in Euston Station on Monday morning awaiting the train home, we ordered a bottle. 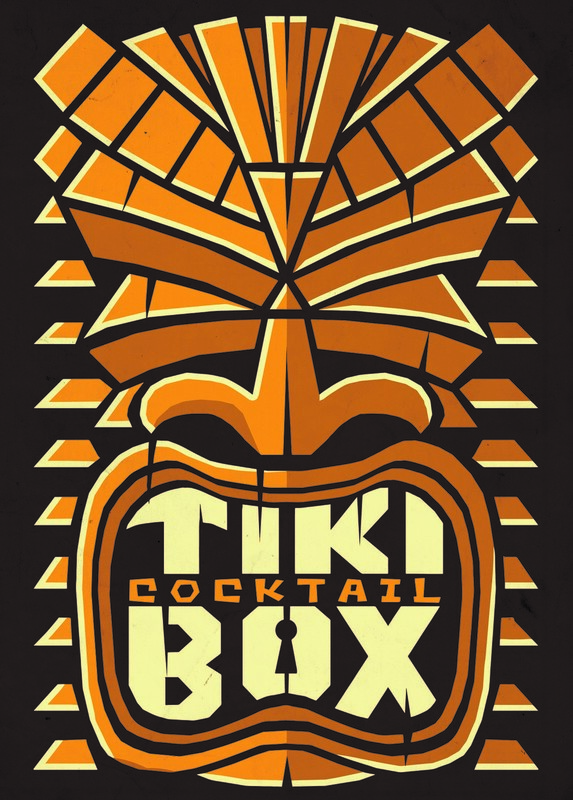 We were also able to meet up with Peter Holland of The Floating Rum Shack, Ben Gane of Drink More Rum, Robert Burr of Rob’s Rum Guide, Helena Tiare Olsen of A Mountain Of Crushed Ice and numerous other Rum Royalty. We also had the opportunity to meet up with some wonderful distributors too. Maya and Francis from Distillnation, Jenny from Sip Or Mix, George and Jessica from The Westbourne Drinks Company and Darius from Trilogy Beverages to name a few. 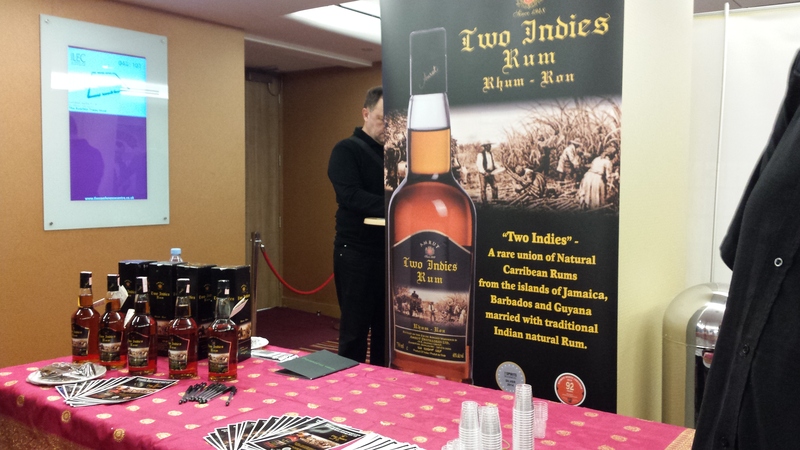 Boutique RumFest was a really great opportunity to experience new Rums and to get an insight into the processes involved in getting a new brand to market away from the noise of the main event……but of course the highlight for us was having a photograph taken with Ian Burrell, Global Rum Ambassador. A real gent and a true champion of Rum. The Authentic Caribbean Rum Marque will be present at the leading rum shows during October, one of the busiest months in high quality spirits events around Europe. With the German Rum Festival, RUMFEST UK, Show Rum in Rome and the Belgium Rum Festival all take place during October 2014, along with other leading spirits shows like Bar Convent Berlin, Barforum in Barcelona, Boutique Bar Show in Edinburgh and Salone del Gusto in Turin, the Authentic Caribbean Rum Marque will provide training and information to trade professionals during many of these shows to continue with its educational campaign around Europe. If you are a spirits professional or aficionado, the month of October is one of the busiest months in the calendar. In fact, Germany hosts one of the leading spirits events in Europe (Bar Convent Berlin) and a Rum Festival just days before. Likewise, London Cocktail week takes place the week before Rumfest UK takes over the ILEC Conference Centre in Earls Court. And with other key industry events taking place all over Europe, October can clearly state its case as “The Rum Month”. Which is why the Authentic Caribbean Rum (ACR) Marque, developed by the West Indies Rum and Spirits Producers’ Association (WIRSPA), will be present at some of the leading events in order to continue its international educational campaign for drinks professionals. During the 4th and 5th of October the Marque will be present at the German Rum Festival, one of the most successful themed rum events in Germany. International Panel member Bastian Heuser will represent the Marque, providing sampling opportunities with a stand and providing further insight in a master class during the event. Two days after, the Marque will participate in Bar Convent Berlin, hosting a stand and offering a master class that will be delivered by ACR International Panel member Andrew Nicholls. On Friday October 10th, during the start of RumFest London, WIRSPA will hold a special seminar with the objective of developing business internationally for producers of the rums under the Authentic Caribbean Rum (ACR) Marque. 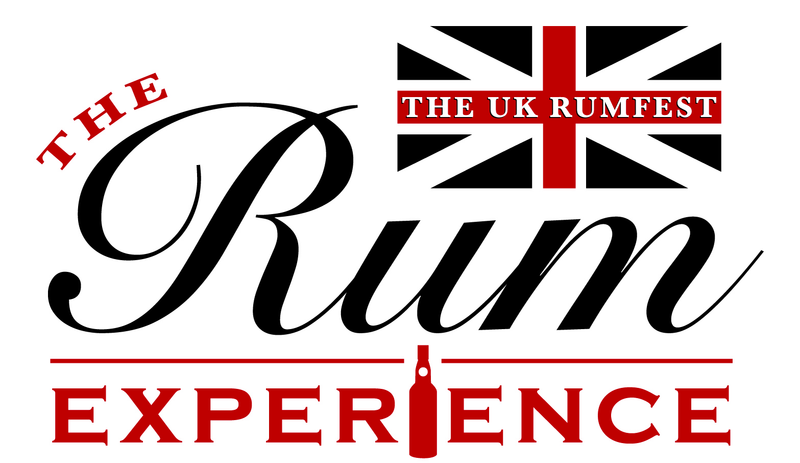 The seminar will include the participation of Ian Burrell, world rum ambassador and creator of RumFest UK and a presentation by IWSR on the rum category worldwide. Following events in Germany and the UK, the Marque will continue its October tour of Europe to participate in Barforum Barcelona (20th-23rd), the Boutique Bar Show in Edinburgh (22nd) and Salone del Gusto in Turin (23rd– 27th). In all events the focus will be in providing information and education to all drinks professionals interested in learning more about the category. Having attended the ACR Training on it’s Manchester visit to Liars Club, I found it to be a worthwhile venture to transfer knowledge about the marque and also the Rums under the umbrella to get some unbelievably great Rums out into the public consciousness. I personally got to try some Rums that I had never tried ( I still can’t locate a bottle of the amazing Monymusk ) and although the training is geared more towards the trade aspect, I thoroughly enjoyed my day. Of course it helped that the training was being delivered by Amit Sood and that I was sat next to the knowledgeable Michael Sweetman of the UK Bartenders Guild and Phil Nienhuis, who is also a massive Rum fanatic. If you have the opportunity to attend an event, I suggest that you do!